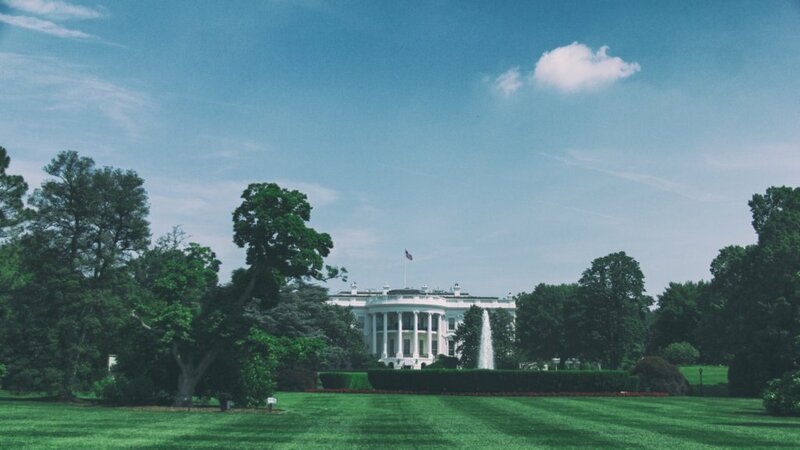 Right now, and probably until November 2020, the focus of politics will be on the presidential election. Few Americans realized the importance of a running mate until the current administration took office. Donald Trump’s approval rating is in the toilet and he appears determined to keep it there. Mike Pence as runner up seems like a choice of slightly-lesser-of-two-evils. Old school Republicans are witnessing the destruction of their party and are begging for someone to run against Trump in the primaries. On the other hand, Democrats have a baker’s dozen of viable candidates, with more expected to join. It is an embarrassment of riches. Republicans enjoy the advantage of being the incumbents, which means their ticket is Trump/Pence. The only exception would be if they lose the primary. In this political reality, don’t rule this out. When you look at those brave souls running on the left, it is a virtual all-star team of experienced candidates. Each one has their issue that resonates with them and many Americans. The primaries will be tough for Democrats with so many on the ballot. But will they have to choose only one? Among this field is likely to be a Vice President. One candidate stands out above all others as the best option for running mate. 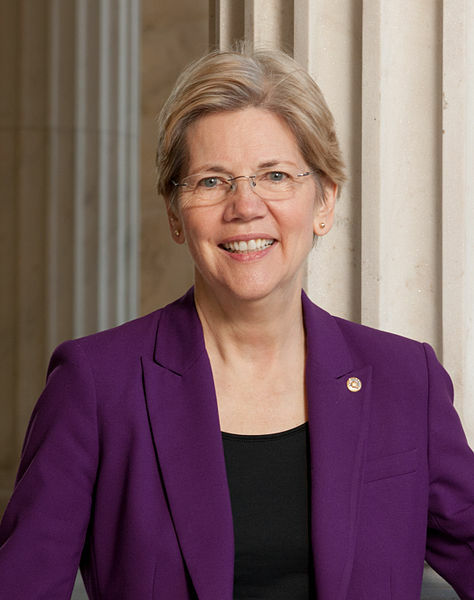 Senator Warren D-MA is a champion of the consumer. She advocates for workers living paycheck to paycheck. Caveat emptor is not in her dictionary. Prior to serving in the Senate, she was a professor at Harvard University where she taught consumer law. President Obama worked with her to form the Consumer Financial Protection Bureau, (CFPB) and he nominated her to fill this Cabinet Position. The Senate did not vote to confirm her to this position, so she ran for Senator and defeated incumbent Scott Brown R-MA to represent the people of Massachusetts. Her passion in the Senate has been to champion for the consumer, and tirelessly advocate to protect working Americans that have zero room for flexibility in their budgets. She sits on many committes — the Armed Services, Banking Housing and Urban Affairs, Health Education Labor and Pensions and Aging. Warren’s well-rounded experience on national defense, senior care and economics gives her a platform that writes itself. Sen. Warren would be a sound running mate for a few candidates. Being from a solid Blue State, a high favorability among Democrats, she would be able to carry the entire New England region. Also, she is a great thorn in Trump’s side. It would make sense for her to be on a Kamala Harris, Jay Inslee or “Beto” O’Rourke ticket if she were unsuccessful in her run for President. Senator Sanders I-VT, has been the same person his entire political career — one that began in the House of Representatives. He was a civil rights advocate in college during the era of segregation. Standing up for what is right and not popular has been his example of the people’s representative. Since being elected to the Senate in 2007, he has advocated for both Wall Street and campaign finance reform. He has been vocal regarding the repeal of Citizens United, as well as a supporter of healthcare for all, abolishing private prisons and affordable higher education. Committee assignments include Budget, Environment and Public Works, Energy and natural Resources, Health, Education, Labor and Pensions and Veteran’s Affairs. 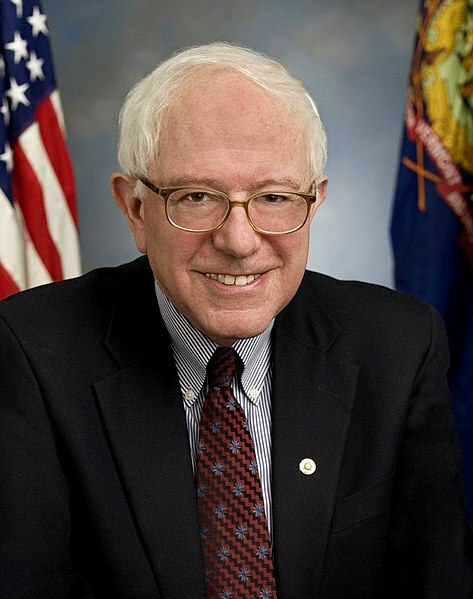 Sen. Sanders has over 30 years experience of working in D.C. He is highly respected by his constituents and his ability to raise money make him formidable. Millennials embrace his ideals, and they are one third of the electorate. His ability to reach the Independent voter is through his election as one. He does caucus with the Democratic Party. Bernie would be a great asset on a Jay Inslee or “Beto” O’Rourke ticket. Senator Harris D-CA served the people representing those that have been victimized. As a prosecutor, she pursued criminals for injustices committed against society. Before being elected to the Senate, she stood for the rights of the people serving as California’s Attorney General. One of the top priorities on her platform is a tax code focused on the “middle class“. This resonates with Americans watching their money disappear. In the 1980s Reagan era, American households saw the disappearance of deductions on their taxes. No longer are working families able to deduct the interest paid on auto loans and credit cards. Now, with the Trump “tax giveaway” to the rich that eliminates those deductions from mortgages too, may are seeing less money in their pockets. Sen. Harris currently serves on the Budget, Homeland Security and Government Affairs, Intelligence and Judiciary Committees. 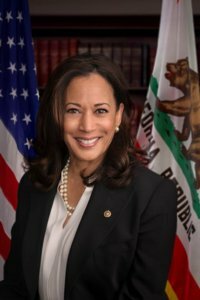 Sen. Harris has a very high approval rating across the board among Democrats nationwide. She would lock down the Electoral College along the west coast and go a long way with voters in the south. Florida, Georgia and South Carolina are among these. She is a sound running mate on a Cory Booker, Elizabeth Warren, “Beto” O’Rourke, Bernie Sanders or Joe Biden ticket. Senator Booker D-NJ came to fame as an All-American football player at Stanford University. This was not given to him. An athlete works full-time on their sport, and must maintain academic eligibility. He is a Rhodes Scholar. If there is a Progressive Issue, you will find Sen. Booker there, whether it be the pro-choice movement or ending the war on drugs — including marijuana legalization. He supports peace and stability in the Middle East through a two-state solution. Climate change is an important issue. Reintegrating into the Paris Accord and working to save the planet with the rest of the world is the ultimate goal. Currently, Sen. Booker is in his first term. He serves in the Senate on the Commerce, Environment and Public Works, Foreign Relations, Small Business and Entrepreneurship and Judiciary Committees. Sen. Booker has demonstrated his intelligence on the Senate Floor and in committee meetings on countless issues. His compassion for people, human beings, is demonstrated by the issues he defends. He possesses the diplomacy and tact to interact with world leaders and elevate the standing on a global scale. 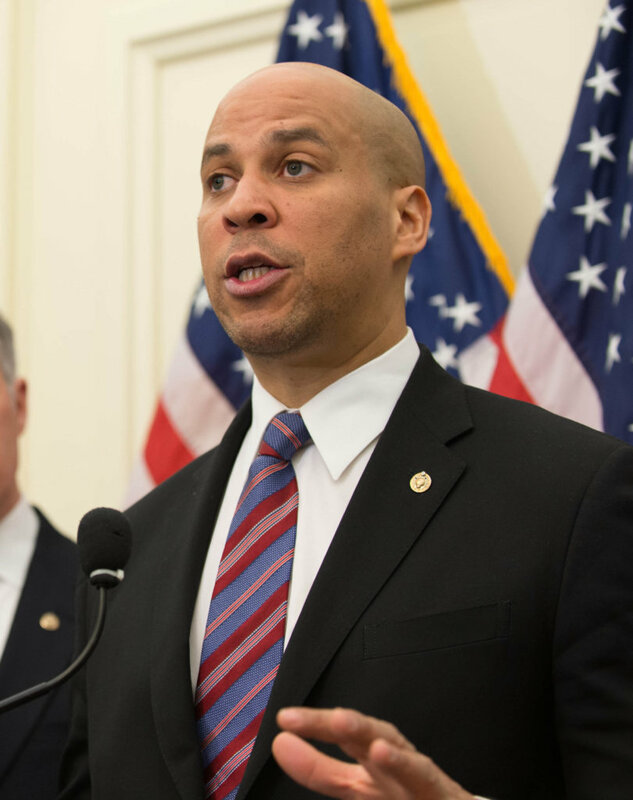 Kamala Harris or Joe Biden would be a logical choice for Sen. Booker as Vice President. Congressman Julian Castro D-TX is serving in his sophomore year the House of Representatives. Before being elected to Congress, he was mayor of San Antonio, TX, and Secretary Of Housing and Urban Development (HUD). This Cabinet experience is invaluable since he was involved in the planning for Hurricane Sandy. This work effectively led to the rapid response to evacuate as many in the path of the storm. This is but one example of working in the White House structure that gives him a solid foundation from which to campaign. His voting record shows support for working Americans as he was opposed the “tax giveaway”. Balanced budgets, fair trade, education, universal healthcare, strong environment and campaign finance reform are currently issues on his platform. 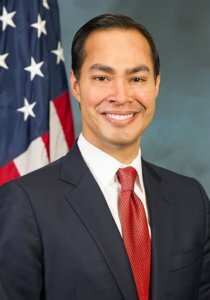 Rep. Castro would serve anyone’s ticket well. Having prior cabinet experience shows he has the integrity to obtain clearance to classified information. Being from Texas, he would be able to draw more Lone Star members to support one of their own. These qualifications and his likability make him a good fit on a Joe Biden, Elizabeth Warren, Kamala Harris, John Hickenlooper or Bernie Sanders ticket. 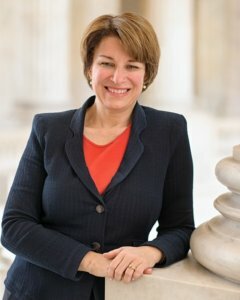 Senator Klobuchar D-MN was also a prosecutor prior to being elected to the Senate. As the senior senator from Minnesota, she serves on the Judiciary Committee, along with Senators Harris and Booker. This group is responsible for confirming federal judges. Enjoying a high approval rating in her state, she has demonstrated that effective governing begins at home. Working Mother awarded her best congressperson of the year for her work on “behalf of working families.” She has also been acknowledged for her efforts in discrimination in the workplace, hungry children and working families, and consumer protection. Presently, she serves in the Senate on the Judiciary, Joint Economic, Commerce Science and Transportation, Agriculture Nutrition and Forestry, Rules and Administration, Printing and Library Committees. Sen. Klobuchar has a broad appeal among north central voters of America. Minnesota is the land of 10,000 lakes, and water conservation is precious in this part of the country. This region often endures unforgiving winters, and blizzards can shut down a community, She understands how this impacts businesses and workers. She has proven what can be accomplished with a little foresight. Veracity like this would do well on a ticket with Joe Biden, Cory Booker or Jay Inslee. 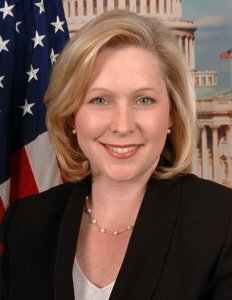 Senator Gillibrand D-NY was appointed to fill the vacancy left by Hillary Clinton when she was confirmed as Secretary of State in 2009. Prior to her appointment, she served as an elected member of the House of Representatives. Serving in her third term the Senate, she has been the point person when it comes to women’s rights. She has brought to light the issue of sexual discrimination in our Armed forces, and continues to demand accountability in our military. She serves on the Agriculture and Armed Services Committees. Sen. Gillibrand is well respected among her peers. Her progressive stance on societal issues are welcomed among voters and she is viewed to be a fan of the people. Her voting record has proven to show she supports working Americans and does not believe in “corporate welfare”. She would compliment a Kamala Harris, Jay Inslee or John Hickenlooper ticket. 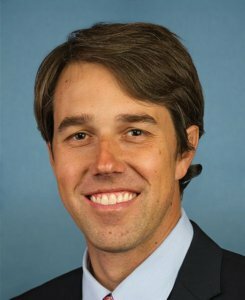 Former Rep. O’Rourke D-TX served in the House of Representatives for three terms. He opted to run for Senator instead of defending his congressional seat. O’Rourke was unsuccessful in his attempt to defeat Ted Cruz R-TX, but came within three percentage points of his goal. No Democrat has come that close in a generation. He gained national recognition as a result. During his time in Congress, he regularly held town hall meetings to demonstrate transparency and accountability facing the constituents of his district. “Being in touch with the people and bringing their voice to Washington is how government is supposed to work”, he said, and his message resonates with the voters. His campaign platform should read simply, “Charge!” Make no mistake, his campaign has energy to spare. Youth is on his side, and with more voters voicing discontent with “old white men” running the country, he has an appeal that few can match. O’Rourke has the ability to draw crowds, fund raise and to deliver 36 Electoral College votes. Many thought Texas to be a citadel for Republicans until the young gun blasted on the scene. Texas is vulnerable. If there exists a “one size fits all” compliment to a ticket, O’Rourke will be on every nominee’s list. 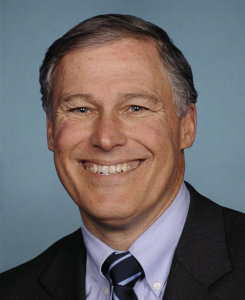 Governor Inslee D-WA is no stranger to politics in Washington D.C. He served in the House of Representatives from 1999-2003. In his time in congress he served on Committee on Energy and Commerce. He also sat on several caucuses relating to environmental and natural habitat preservation and protection. Elected Governor of Washington State in 2012, he has made transitioning to 100% clean, sustainable and renewable energy a priority. Inslee made the state’s economy by keeping Boeing instead of losing jobs to South Carolina. He is advocating for a fully funded education system, mental health and addressing the issue of a “living wage”. During his tenure as governor, Inslee’s vision for his state focused on transportation that severely reduces or eliminates carbon emissions. He has been a proponent of creating jobs that bring Americans into a labor force that can manufacture emission free. Gov. Inslee is not just about talk. Programs are underway in his state toward transitioning toward a carbon emission free zone as much as possible. Action like this — not rhetoric — is what excites voters. His skills would enhance a ticket with Joe Biden, Elizabeth Warren, Bernie Sanders or Julian Castro. 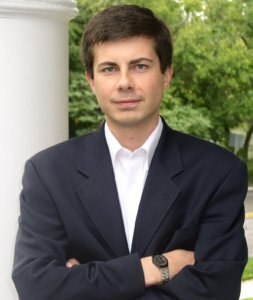 Not only is he been Mayor of South Bend, Indiana since 2012, Buttigieg is also serving this country as a Lieutenant in the United States Navy Reserve. As Mayor, he has taken a different tactic to address the horrific decline of jobs since the 1960s. Areas of South Bend had been abandoned and housing had declined to the point of being inhabitable. These were simply razed and the resulting new housing brought jobs and a resurgence of life to the city. He modernized his community and its economy. Buttigieg’s presidential platform is aggressive on climate change, fair trade, sensible gun legislation, withdrawing troops from Afghanistan, single payer healthcare and a pathway to citizenship. All these issues affect all Americans, this is not a partisan issue. His motto, his aims and his goal is to modernize America. Mayor Buttigieg may not have national political experience, but he has demonstrated the ability to govern for the people. This is what elected officials have forgotten, and why his style of leadership has been successful. This “Rust Belt” candidate would help swing many votes to Democrats, and would help any candidate on the east or west coast. If he does not get selected for VP, the successful ticket would be remiss to omit him from Cabinet post consideration. Tulsi Gabbard D-HI was elected to the House of Representatives in 2002. She served there until 2016 when she resigned her seat to work on Sen. Sanders bid for the Democratic presidential nomination. She is also a member of the United States Army National Guard. Gabbard has served since 2003, is an Iraq War veteran and currently an officer with the rank of Major. During her time in congress, she served on the Armed Services and Foreign Affairs Committees. She also was a voice for the Progressive Caucus. Gabbard championed issues such as living wage, women’s rights, campaign finance reform, universal healthcare and climate change. Issues important to her platform are reestablishing Glass/Steagall, an increase in the federal minimum wage, properly fund education, protect the environment and address the issue of cyber security. Ms. Gabbard is a very progressive candidate. Rep. Gabbard has a solid working relationship with Sen. Sanders. That would be the logical choice. To say John Hickenlooper is a successful business man is a serious understatement. He founded the Wynkoop Brewing Company in Denver, Colorado in 1988 and became a multi-millionaire. In 2003 he was elected Mayor of Denver. He resigned the position of Mayor in 2011 when he was elected to be Colorado’s Governor. Colorado enjoyed a thriving economy under Gov. Hickenlooper’s tenure. Revenue increased exponentially when cannabis was legalized and funding for education increased. He signed sensible gun legislation restricting the rounds a magazine to fifteen. People were to able to obtain healthcare once the Affordable Care Act was enacted and currently over ninety three percent of Coloradans have coverage. Gov. Hickenlooper’s platform is modeled after the successes of his state. Legalizing marijuana would reduce government spending in the “war on drugs.” These would be resources better used helping the opioid crisis and provide in funding healthcare for all. Gov. Hickenlooper is not a businessman that tries to run government like one. He is educated and knows how to successfully run government. As a “wild card” pick, he would make a great ticket with Amy Klobuchar, Kirsten Gillibrand or Bernie Sanders at the top. Another three term congressman from the House of Representatives is John Delany D-MD. His forte is job creation. He started two businesses which currently trade on the New York Stock Exchange which created numerous jobs in the healthcare industry. While in congress, he serve on the Financial Services and Joint Finance Committees. 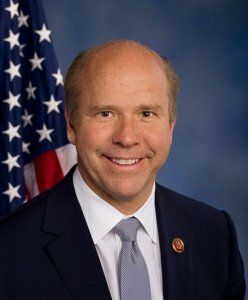 Being on sub-committees such as the Financial Institutions and Consumer Credit and Oversight and Investigations, Delaney has a perspicacious sense on the economy, creating employment and equity. On his campaign platform, Delaney supports the legalization of marijuana, addressing infrastructure deficiencies and environmental protection as his priorities. Bringing an experience of putting Americans back to work and a sense of value to themselves is a strong asset. Rep. Delaney has qualities that would support a more moderate candidate. His business acumen is proven, and he has translated that skill into his congressional duties. He would serve the middle class well. The candidate(s) he would compliment would be John Hickenlooper and Joe Biden. Southern states have been entrenched by the Republican Party since the “Southern Strategy”. Bill Clinton D-AR was the last gasp of Democrats in the south, and that was in the 1990’s. Gerrymandering and voter suppression have been the Republican tools to maintain power. During the 2018 mid term elections, these types of issues were prevalent in Georgia and North Carolina. North Dakota had its issues suppressing the Native American vote, but we will focus on the south for now.What has emerged from North Carolina is a new election since it was proven the congressional race in their Ninth District was tainted by Republicans interfering in the mail in votes. Georgia is a different story. Many view Democratic candidate Stacey Abrams to be a victim of injustice in her gubernatorial bid. Then Secretary of State, Brian Kemp withheld over 50,000 voter registrations from entering the election ballot rolls from the 2018 elections. Kemp was her opponent. 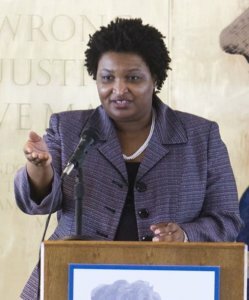 If winning the Electoral College means paving a way through the south, then Stacey Abrams is the logical choice.